assistants and administrators who all clearly had the best interests of their students at the centre of all that they were striving to do." With our sister-school, the British International School of Cracow (BISC) recently celebrating its 20th anniversary, the BISC group of schools have an established history as a market-leader in the international education sector in Poland. BISC was founded in September of 1995 by four educationalists to provide a top-quality British education for the international community of Kraków. Following an invitation from Wrocław city hall, the school opened its second site in the leafy district of Krzyki, a few short minutes by public transport from the historic centre of Wrocław. 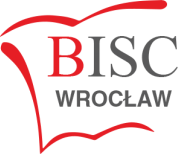 BISC Wrocław has grown considerably since it began in 2006 and now educates approximately just under 200 students from over 26 different countries between the age of 5 and 18. BISC Wrocław is highly regarded in the city as the premier provider of international education and is rightly recognised for the excellent academic performance of its students. The school has continued to develop its curriculum and reflects modern educational trends from the UK, delivering the English National Curriculum in an international context. Our secondary students sit IGCSE, AS and A-Level examinations and progress to top universities across the globe. BISC Wrocław is a full member of the Council of Overseas British International Schools (COBIS), the European Council of International Schools (ECIS) and is fully accredited to offer external examinations from Cambridge International (CIE).